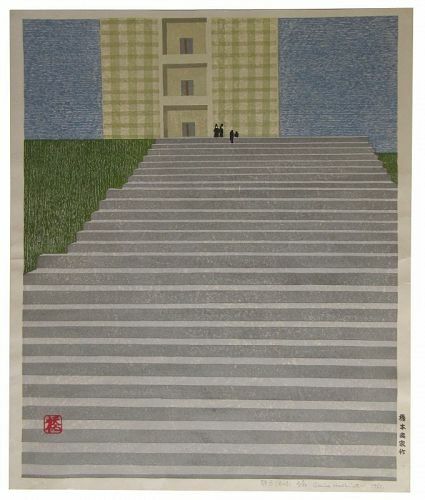 A large framed Japanese woodblock print by Joichi Hoshi (1913-1979). Signed, titled, and numbered 83/90 in pencil, with red chop. 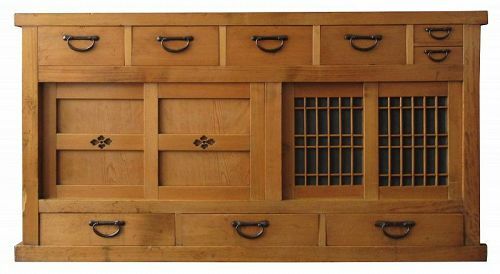 Long Japanese half section Mizuya or buffet cabinet, constructed with Hinoki and Sugi wood. 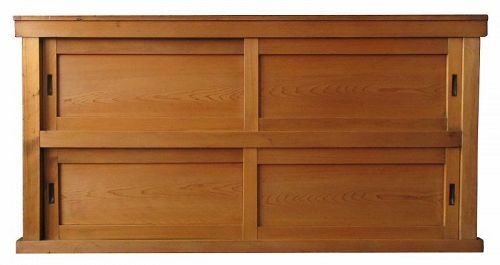 Long Japanese half section Mizuya or buffet cabinet, constructed with Hinoki and Sugi wood. The piece holds a large upper and lower storage compartment with four sliding door panels. 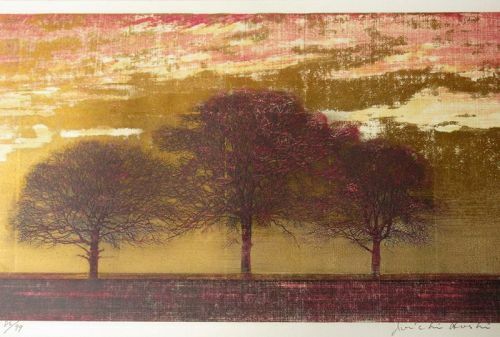 Japanese print by Hiroto Norikane (b. 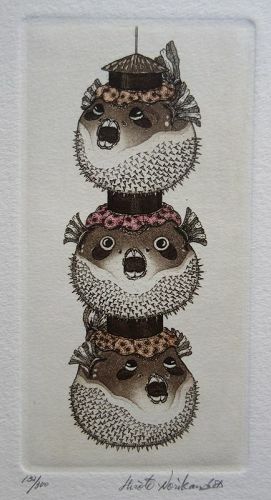 1949-), aquatint of puffer fish lanterns, stacked and strung together. Numbered 132/300, titled, signed in pencil. 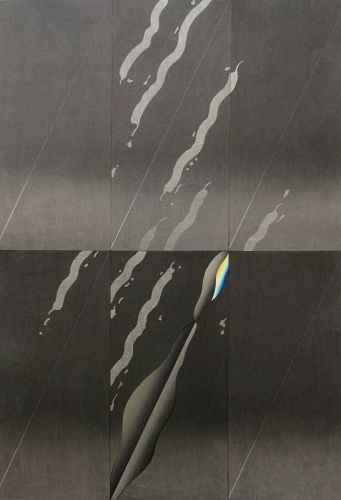 Japanese print by Hiroto Norikane (b. 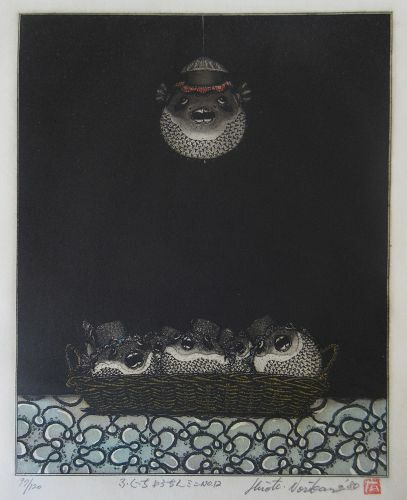 1949-), aquatint of puffer fish lanterns in a basket with one fish lantern hanging overhead by a string. 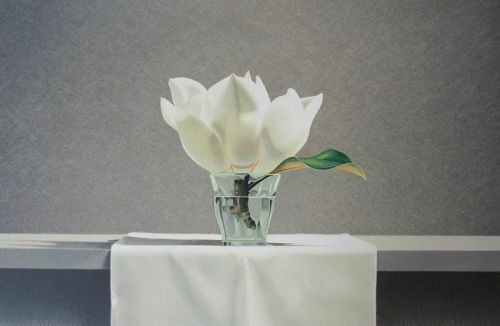 Numbered 97/120, titled, signed in pencil. With red chop. Japanese abstract print, titled "Flame Tracer" # 42/90 in its series. Hand signed by the artist Kurosaki Akira (b. 1937). Embossed with print studio logo. Japanese woodblock print by Okiie Hashimoto (1899-1993). # 2/60 in its series, titled "Quiet B (Nagasaki)", signed in pencil. Red cartouche in upper righthand corner. 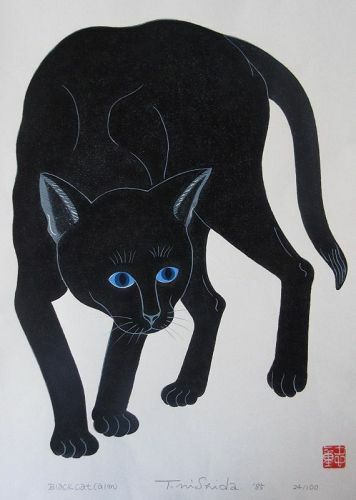 Japanese woodblock print of a black cat with piercing blue eyes. 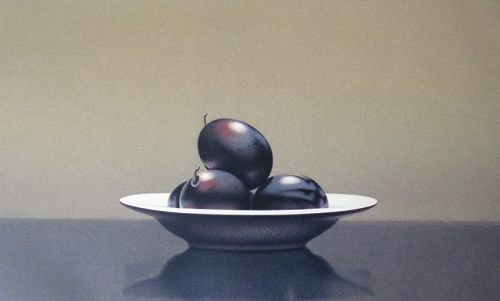 Titled "Black Cat", # 24/100 in its series, signed T. Nishida in pencil with red chop.